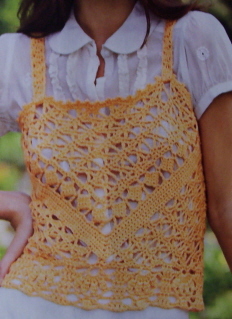 If you crochet - go buy it. You won't be sorry. 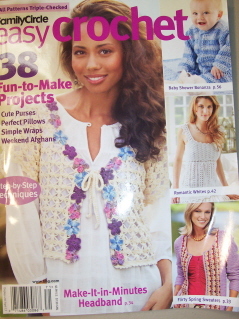 I haven't been this excited about a crochet magazine in a loooooong time. 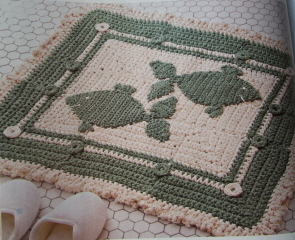 Years ago when I'd buy a crochet magazine I would make at least half a dozen projects from it - the patterns were that good. Now I seldom make anything from them (most of my projects come from books) but I buy them anyway to support the cause. That's why I'm so very, very pleased with this issue. Of course, now that I absolutely love a magazine they are discontinuing it, but I suppose that makes these patterns all the sweeter, right? 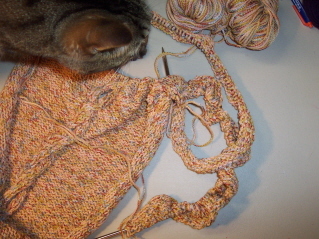 I may make that table runner, actually, in the leftover Almond Cotton Ease I have from Fountain Lace. 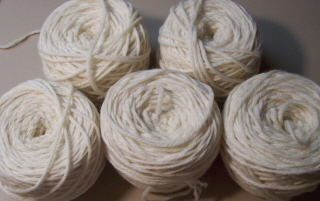 The neutral color will coordinate year 'round and it looks fun & quick to crochet. That purse is TOO cute! Like Vera, I'm thinking I probably wouldn't have the patience to crochet all those little flowers, but the jacket without them might be pretty cute too! 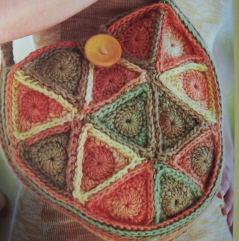 I really like this pattern stitch and it goes very quickly too. :) This just might be that basic black cardi I've been wanting. Yay! 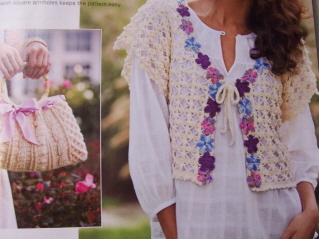 Bernat has a big advertising section in the middle of the magazine showcasing all their yarns with free patterns for every room of your house and three wearables. 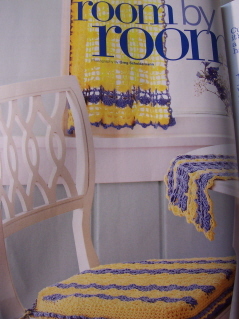 You can browse through the pics in the magazine, then go to their website to click on a room and download the patterns. I thought it was a cute idea - something a little different at least! So, anyway. Seriously. All you crocheters out there. Buy the mag. 'Nuff said. Doug thinks it's an incredibly odd choice for a project. Here I am, trying to branch out & get away from sweaters a bit and he says, "Why use all that wool for a tree skirt? Knit me a sweater!" ha! Yeah, right, honey! OK - I think that's MORE than enough pictures for one post - I'm outa here!